TUCSON, Ariz. — Tucson Police are responding to a vehicle vs. pedestrian collision that closed Eastbound River Road at Craycroft Road. The roadway is back open. 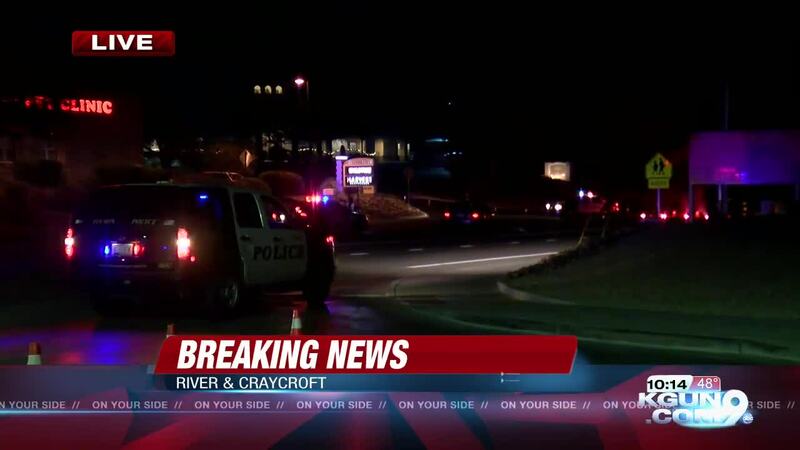 TPD said a man was hit by the car just east of Craycroft Road on River Road around 9 p.m. Tuesday. He was taken to the hospital with life-threatening injuries. TPD said the driver stood by and is cooperating with the investigation. Drivers are asked to avoid the area as traffic detectives are heading to the area now. This is a developing story. Follow KGUN9 for updates.